Saboori, R., Sabbaghi, S. (2017). Synthesis and Characterization of ‎Carboxymethyl Cellulose/Polystyrene ‎Core-Shell Nanoparticles by Miniemulsion ‎Polymerization. 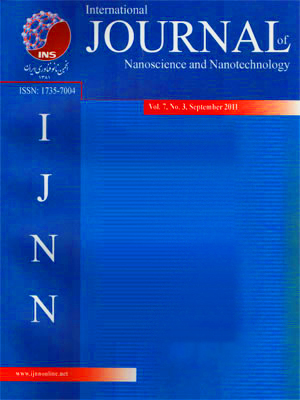 International Journal of Nanoscience and Nanotechnology, 13(3), 275-281. R. Saboori; S. Sabbaghi. "Synthesis and Characterization of ‎Carboxymethyl Cellulose/Polystyrene ‎Core-Shell Nanoparticles by Miniemulsion ‎Polymerization". International Journal of Nanoscience and Nanotechnology, 13, 3, 2017, 275-281. Saboori, R., Sabbaghi, S. (2017). 'Synthesis and Characterization of ‎Carboxymethyl Cellulose/Polystyrene ‎Core-Shell Nanoparticles by Miniemulsion ‎Polymerization', International Journal of Nanoscience and Nanotechnology, 13(3), pp. 275-281. Saboori, R., Sabbaghi, S. Synthesis and Characterization of ‎Carboxymethyl Cellulose/Polystyrene ‎Core-Shell Nanoparticles by Miniemulsion ‎Polymerization. International Journal of Nanoscience and Nanotechnology, 2017; 13(3): 275-281. The first stage to have access to a reservoir is the drilling operation. The proper development of this operation plays a major role in increasing productivity. It must be pointed out that the drilling fluid (mud) is pivotal in achieving this objective. Among these fluids, water-based fluids are the most common ones, which have been utilized to drill approximately 80% of all wells and are more economical compared with oil- or synthetic-based fluids. In this study, synthesis of core-shell carboxymethyl cellulose nanoparticles with polystyrene by miniemulsion polymerization was performed. The synthesized core-shell and modified carboxymethyl cellulose nanoparticles were characterized by particle size analyzer, fourier transform infrared spectroscopy, thermo gravimetric analysis and scanning electron microscope. The result showed that the average sizes of carboxy methyl cellulose and core-shell nanoparticles are approximately 47 and 80 nm, respectively. The core-shell nanoparticles have spherical shape with a smooth outer surface. Indeed, the produced core-shell improved the thermal resistance of carboxymethyl cellulose nanoparticles in comparison to bulk carboxymethyl cellulose.